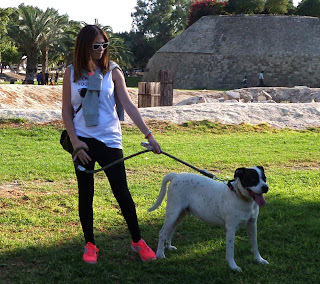 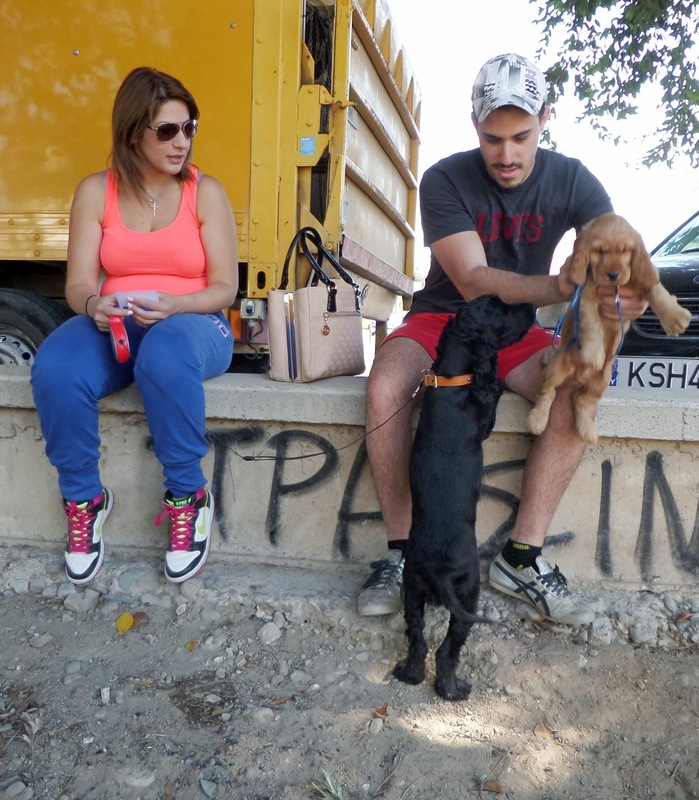 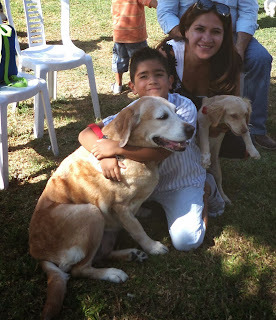 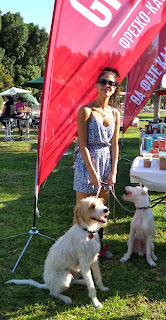 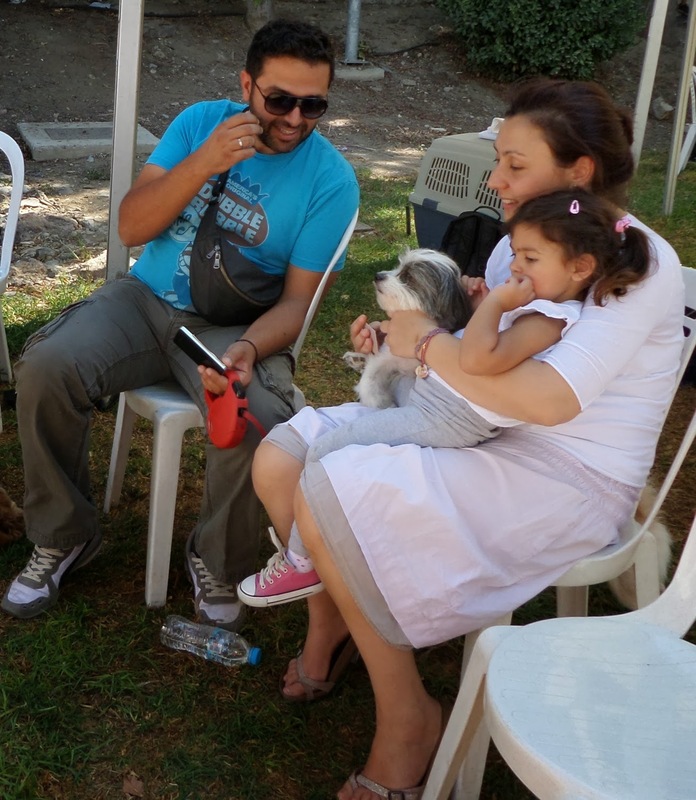 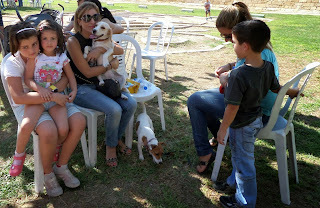 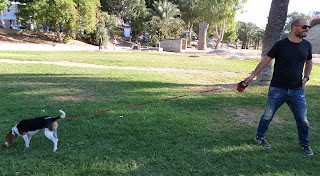 On Sunday (13th Oct) we went to our first organised 'pet day' in Cyprus. 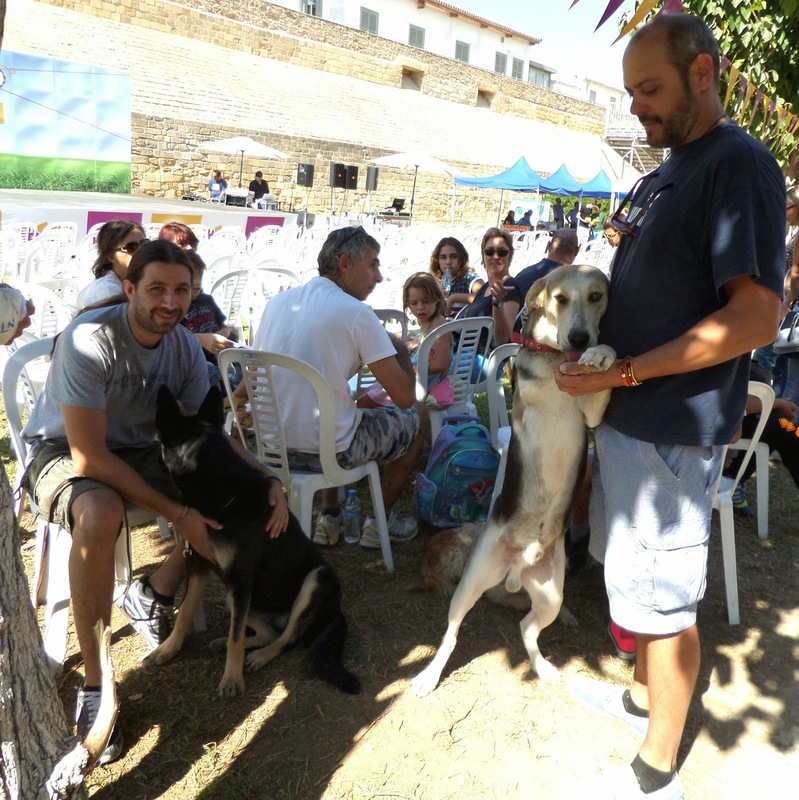 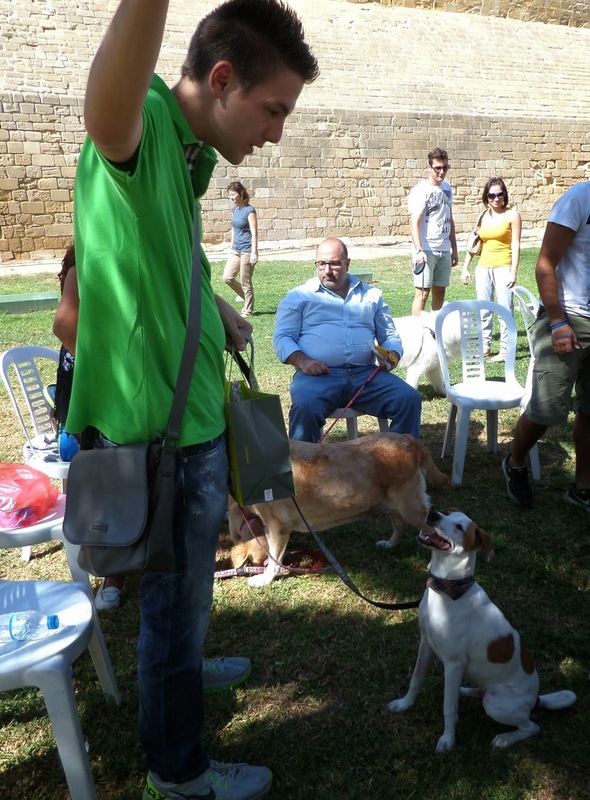 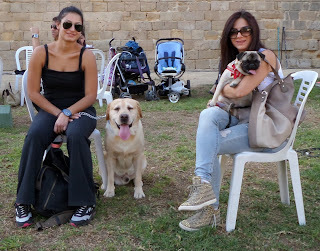 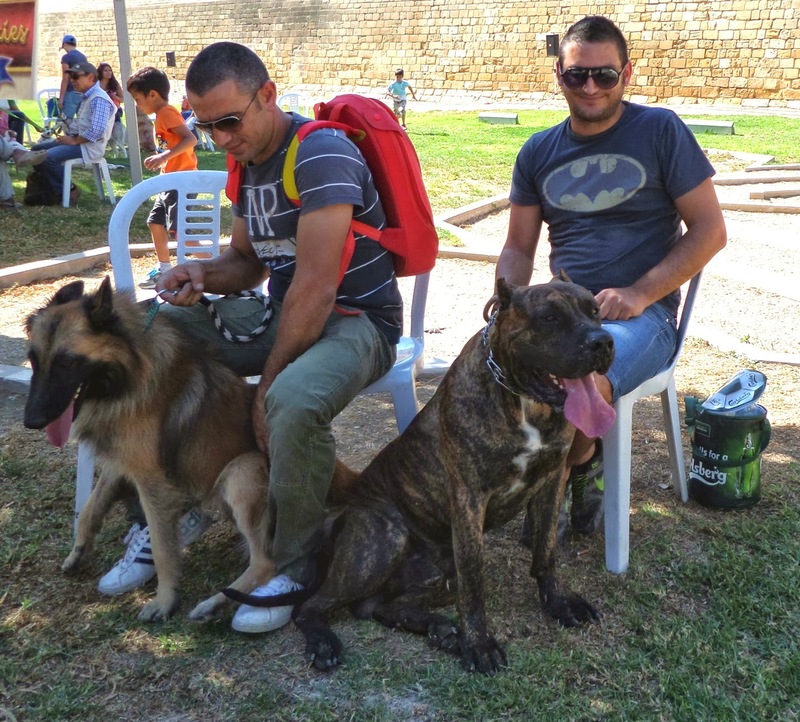 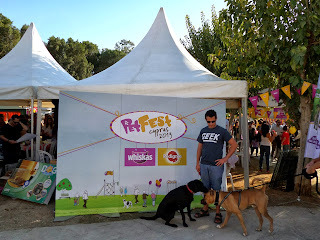 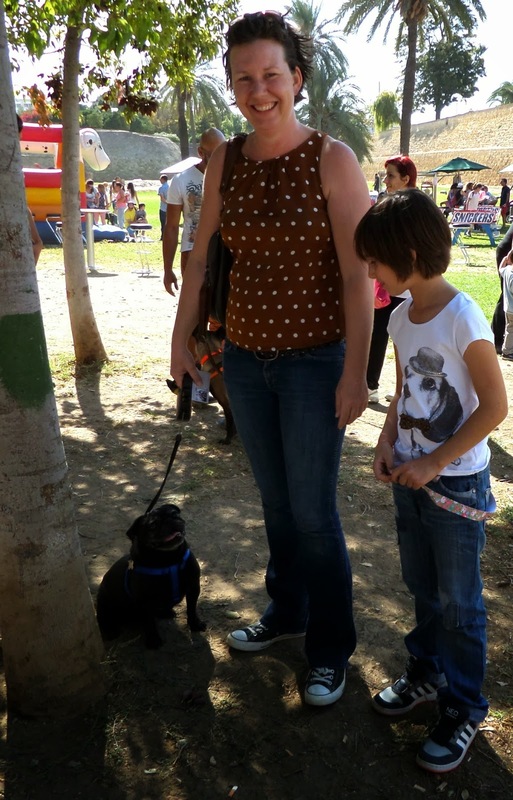 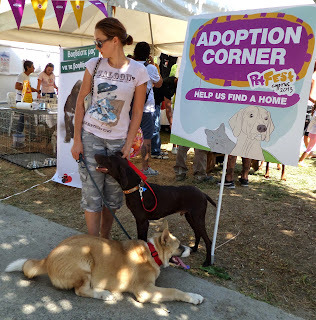 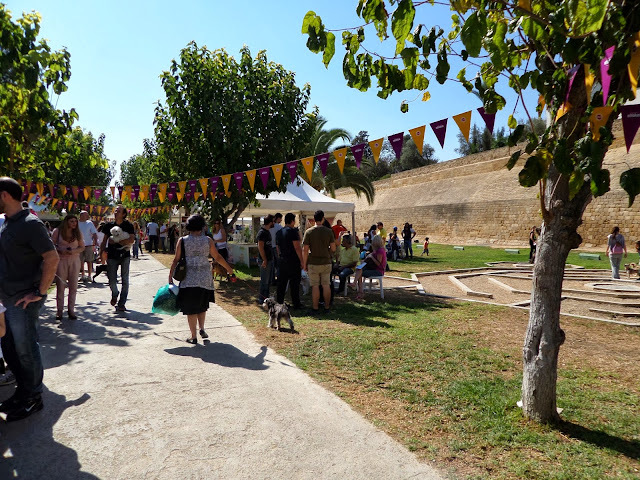 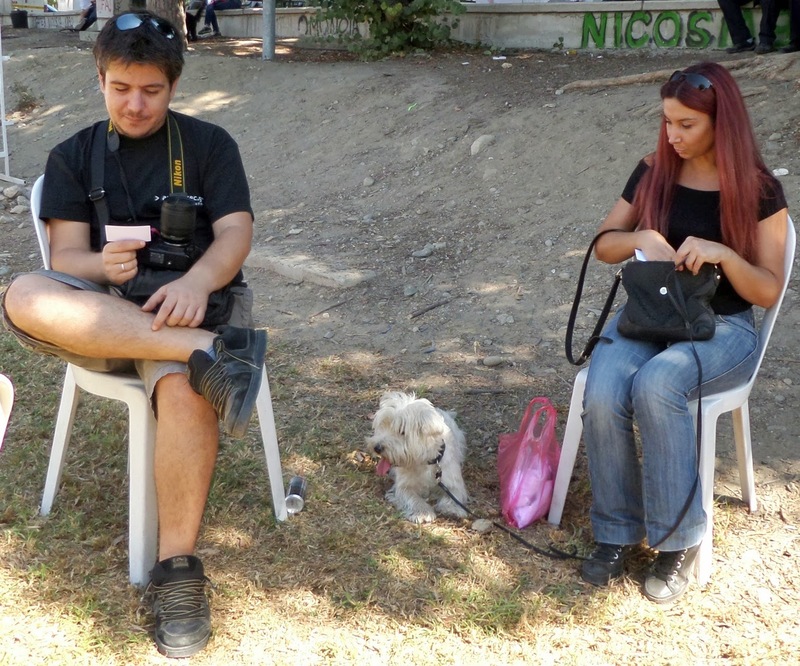 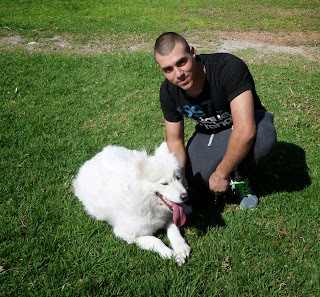 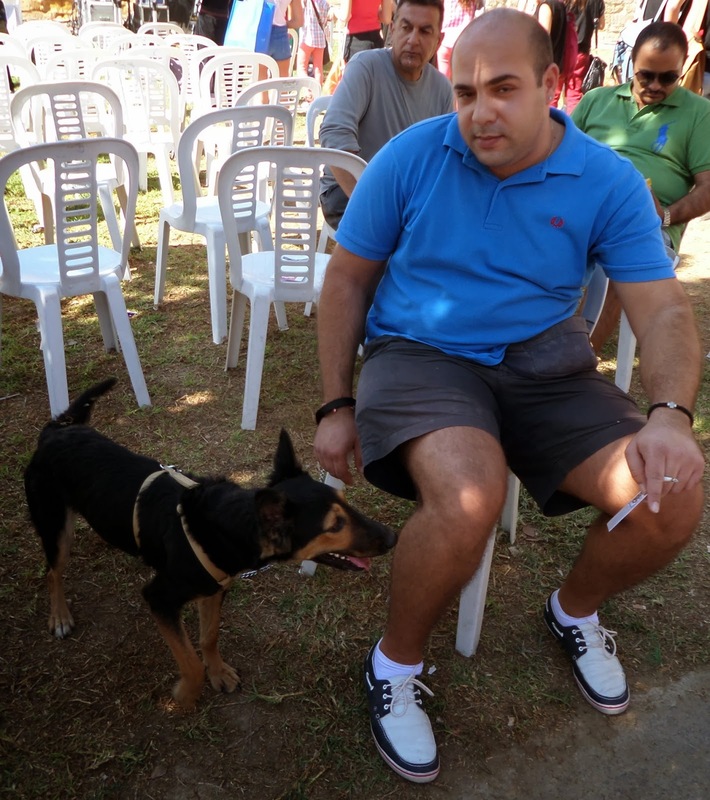 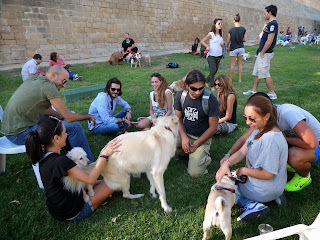 It was Pet Fest 2013, organised by the Cyprus Voice for Animals (CVA), Whiskas and Pedigree. I didn't expect to see such a huge range of dogs, and so many people. 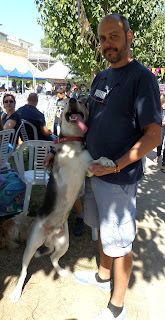 It was really lovely to see dogs of all sizes and breeds, from mixed breeds, to poodles, to jack russels, labradors, german shepherds...the list goes on and on. 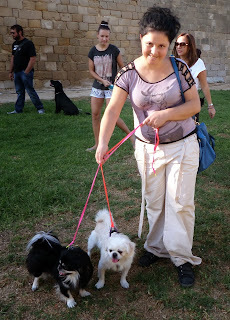 It was also great to see the people who had come out with their dogs, lots of older couples, families, loads of children. 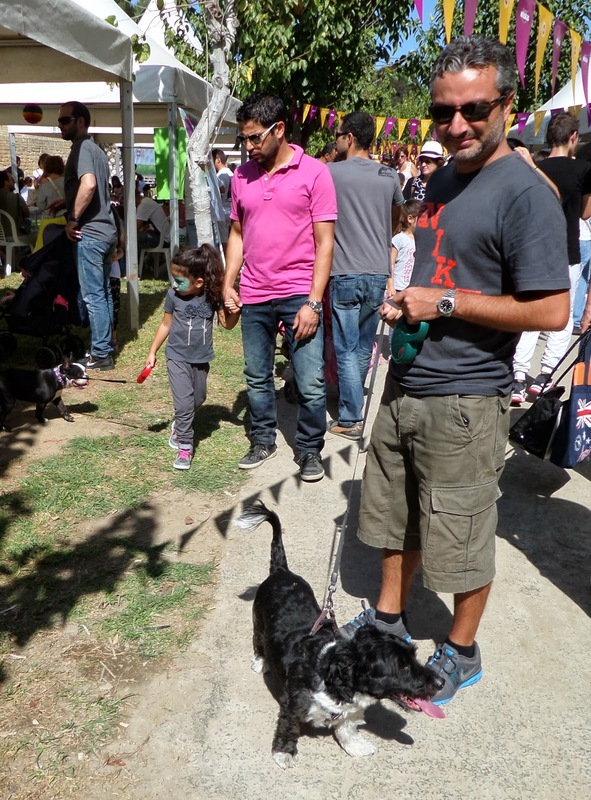 The festival was simply full of people enjoying a day out with their dogs, exactly as it should be. 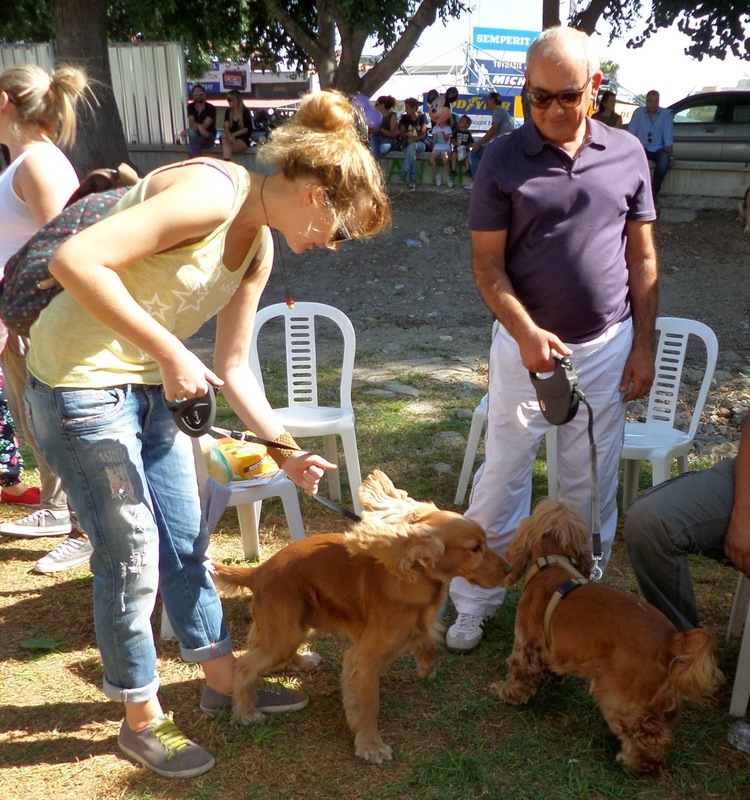 The organisers had arranged competitions - best tricks, best groomed dog etc., as well as displays of dog training, and a stall where you could get your dog groomed. Importantly, there were stalls promoting the work of the pet shelters, and encouraging people to adopt cats and dogs. 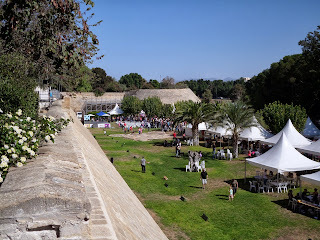 Then there was a dj, dancing performances, a puppet show, a kids' corner, face-painting and clowns, food stalls, bouncy castles etc etc. 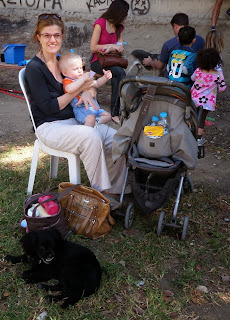 They had pretty much thought of everything to keep all the family entertained for the day. 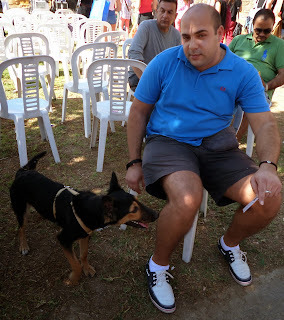 I am used to walking through crowds with Sage on a very tight leash. 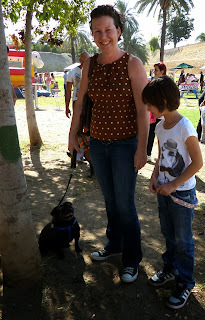 I have got used to seeing the terrified look on parents' faces as they pull their children out of the way of Sage when we are out and about. I have got used to feeling like we are in the way, and that we are doing something wrong having our dog with us when we stop for a drink, or some food, or try to get near the sea. So it was a really lovely experience to walk through this crowded festival, and feel like Sage, as well as all the other (hundreds) of dogs, were welcome. 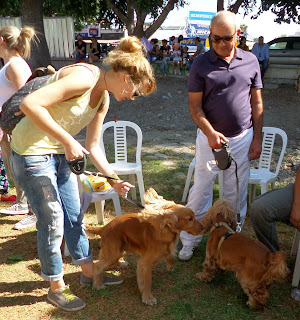 I loved seeing families sitting together, playing with their dogs, and children leading their animals around to the shows and the stalls. 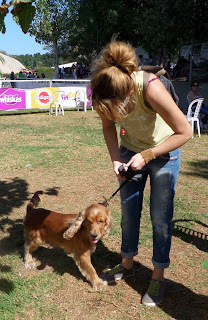 Yes, it was, in many ways!